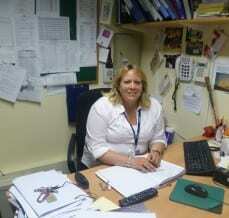 Lesia is the Estate Manager at Housing 21’s Kenneth Launder Court in Liskeard, Cornwall. She is delighted that her residents now have total independence following complete bathroom adaptations by AKW. “Before the adaptations, I was organising carers to visit certain residents three times a week to help with bathing and now no one needs help. It’s great that our residents have total independence. I’ve had excellent feedback from the occupational therapists and the fact that the adapted bathroom had been installed has even meant that one resident was able to return early to her own home from temporary residential care after a nasty fall.